I bought this lipstick because I have a weakness for packaging and was keen on the print on the lid! 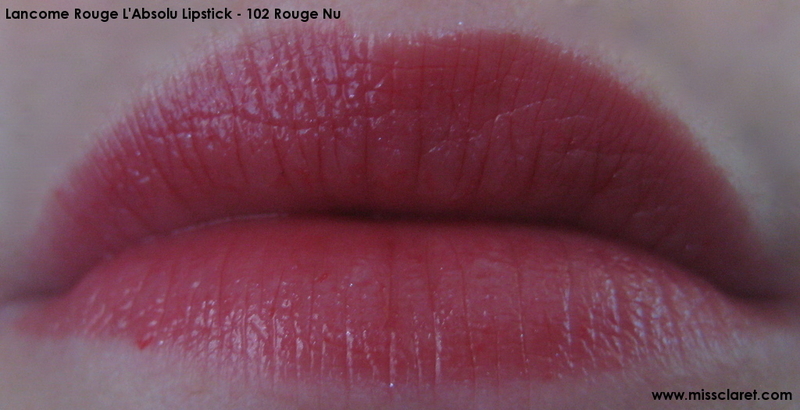 The lipstick is sheer and glossy and not all that revolutionary (the lid is the best part). I thought the colour may be brighter and redder, but actually turns quite pink on my lips. 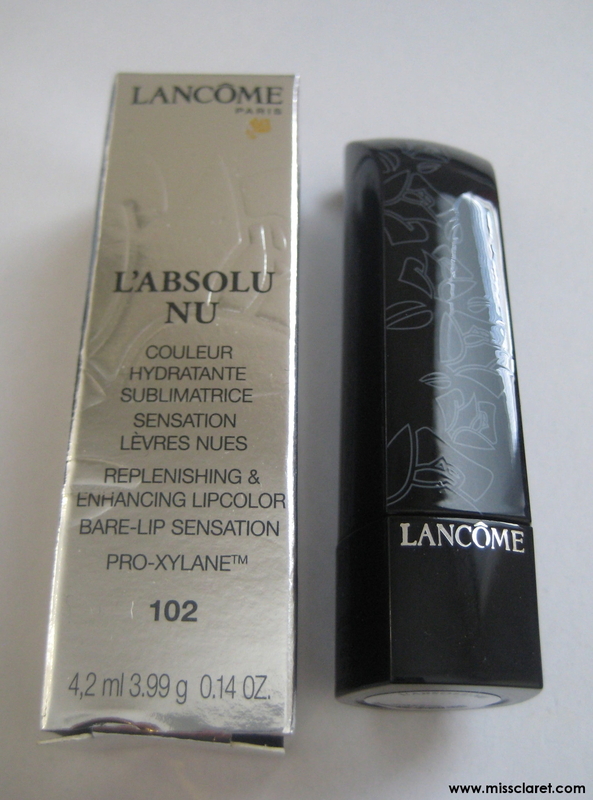 The fragrance is fairly standard to Lancome's lip products. 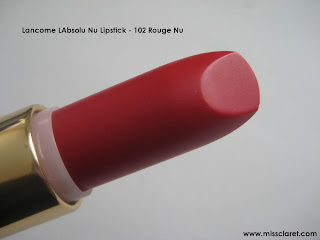 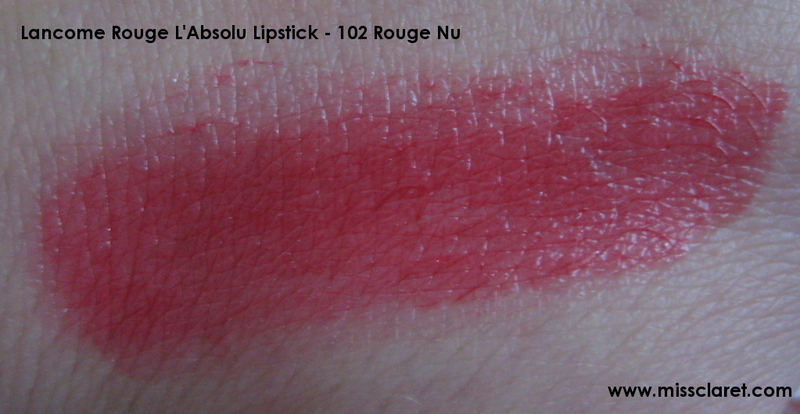 Nice shade if you are new to red lipstick or want to wear something subtle.